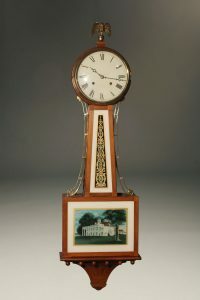 New Haven Clock Co. banjo style wall clock. 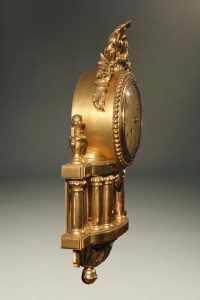 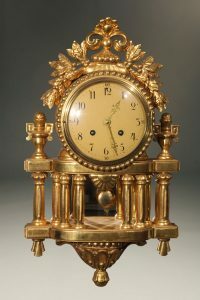 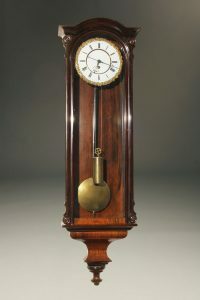 Late 19th century time and strike Austrian Vienna regulator. 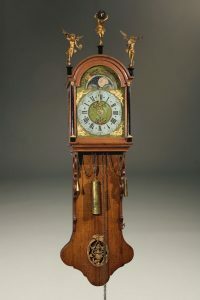 Wonderful mid 19th century Austrian Biedermeier Vienna regulator. 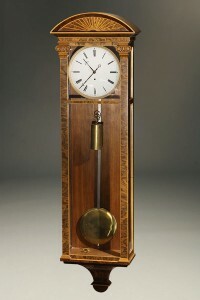 Single weight Vienna regulator with walnut case and ebonized details. 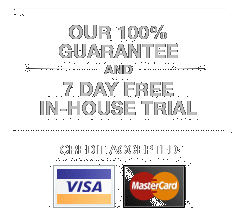 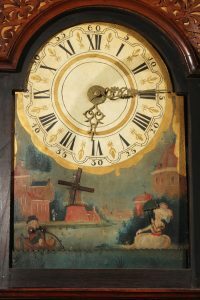 Dutch Frisian Staartklok (Tail clock) with hand painted animated dial. 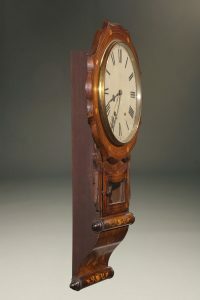 Wonderful New Haven Clock Co. walnut wall clock. 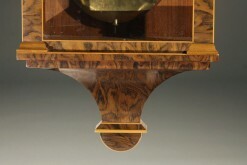 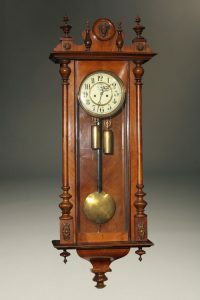 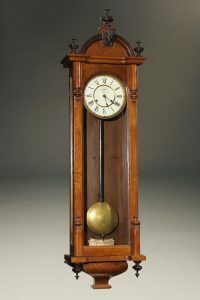 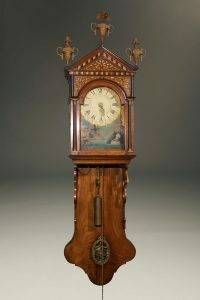 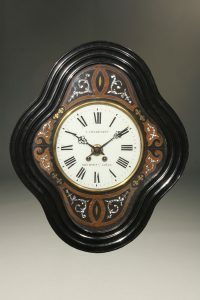 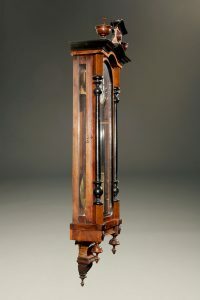 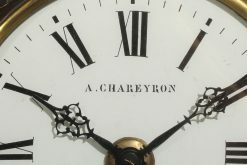 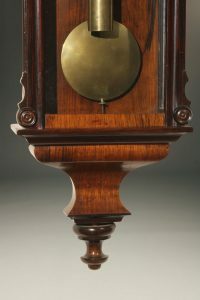 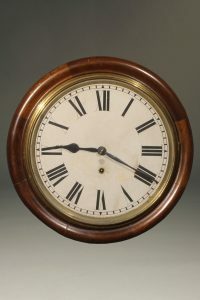 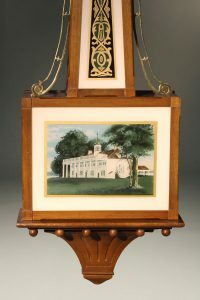 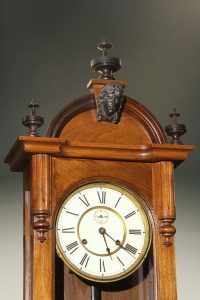 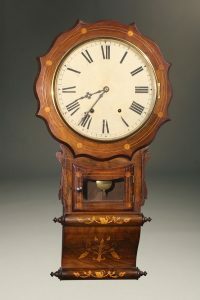 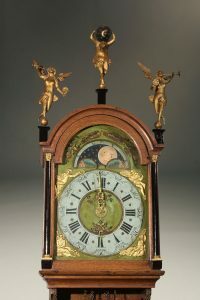 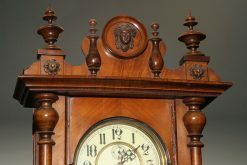 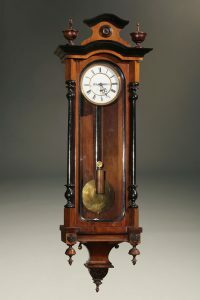 Ansonia gallery clock with walnut case. 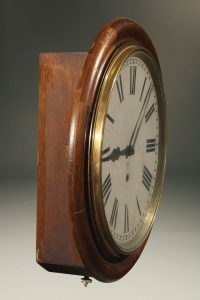 Mid 19th century Dutch Staartklok in oak.